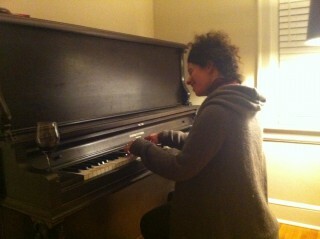 Megan Jerome tries out some of her songs on writer Fateema Sayani's old Heintzman piano. Megan Jerome is in my living room playing my upright piano. It’s an old made-in-Canada Heintzman, bequeathed to me by a family member and it hasn’t been tuned in ages. “That’s part of the charm,” Jerome, 38, says. Sitting on the claw-foot stool, her corkscrew curls piled atop her head, she works with the slightly warped sound and broken keys. Getting a feel for this particular piano, she tears into selections from her new self-titled album to an audience of one and a housecat. The songs are sparse in their composition, but are made warm by a sensuous voice and sultry delivery. The song “Mike,” written about her husband (musician-composer Mike Essoudry), is a tender re-telling of warm exchanges in their long-blooming relationship. The song “Want” is more obscure on details, but is clear in its intention. Of the nine songs on the album, it’s the horndoggiest. Jerome delivers this tune smoothly on the piano, and laughs loudly when we dissect the lyrics. (She rhymes “more” and “sore” in a yowza stanza). Other tunes display a sprightly sense of humour and an appreciation for the ends and bends of the piano — and the many ways you can manipulate it to get a great sound that’s more resonant. Jerome heads to the NAC's fourth stage on Friday for her CD release show. Photo by Rémi Thériault. She plays a tune that’s heavy on the bass-clef notes and we get to talking about Gonzales, the McGill-educated musician and producer who writes indie rock piano tunes and does some low-tech torquing, like adding more felt to parts of the inside of the piano, to expand the sound possibilities. For her new album, Jerome recorded with producer Ross Murray at home on her Heintzman. 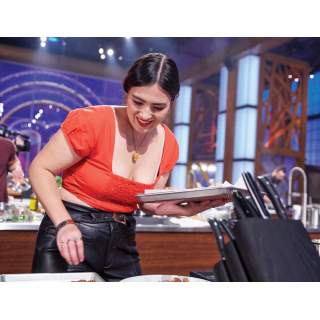 She’ll try to replicate that candid, warm, living room vibe when she hosts a CD release show at the National Arts Centre fourth stage on Friday. 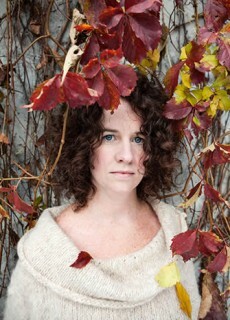 Megan Jerome CD release show, Friday, November 30, NAC Fourth Stage, 53 Elgin St., 7:30 p.m., $20.